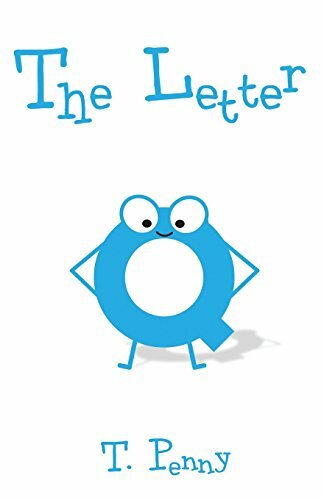 Did you ever wonder how the letters in the alphabet got to where they are now? Join "Q" on its journey to discover where it belongs. If you've ever felt like you don't fit in, you're not alone! Just like "Q," it is easy for us to feel as if we do not belong where we started. The adventure to find where we're meant to be could take us to new places where we meet interesting characters, but eventually we find a place that feels like home - and if it feels right, it is right. Throughout her life, author T. Penny has been on many different adventures. She has traveled to both Europe and South America, lived in multiple states throughout the U.S., and has had countless hobbies. Though she has now settled down in the state of North Carolina, her journey to find where she feels at home still continues. Her love of dance has led her to compete in the ballroom and her lifelong interest in languages has led her to dedicate the past three years to teaching Spanish. Though her adventure may seem long already, she continues in search of the place that feels right to her.